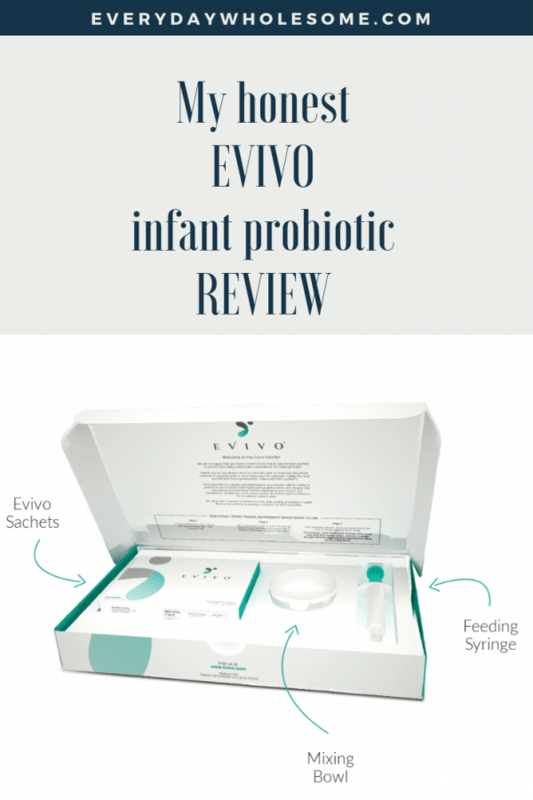 This post is my hones opinion about infant, newborn, baby, toddler probiotics and the Evivo brand that I tried. 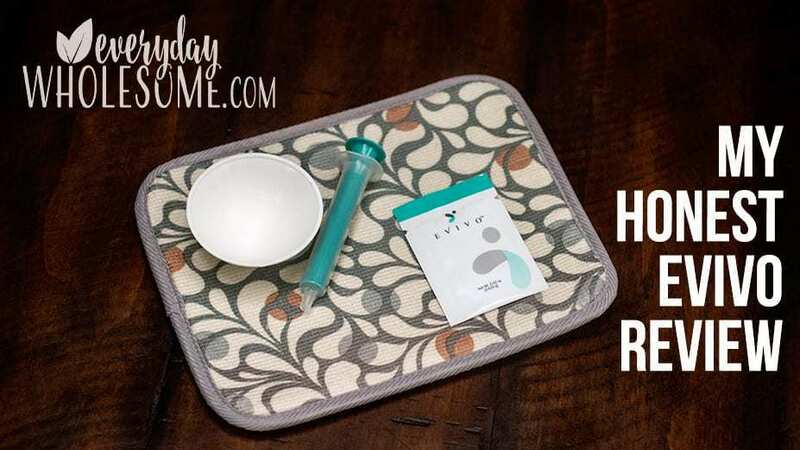 This is my honest Evivo Probiotics review. 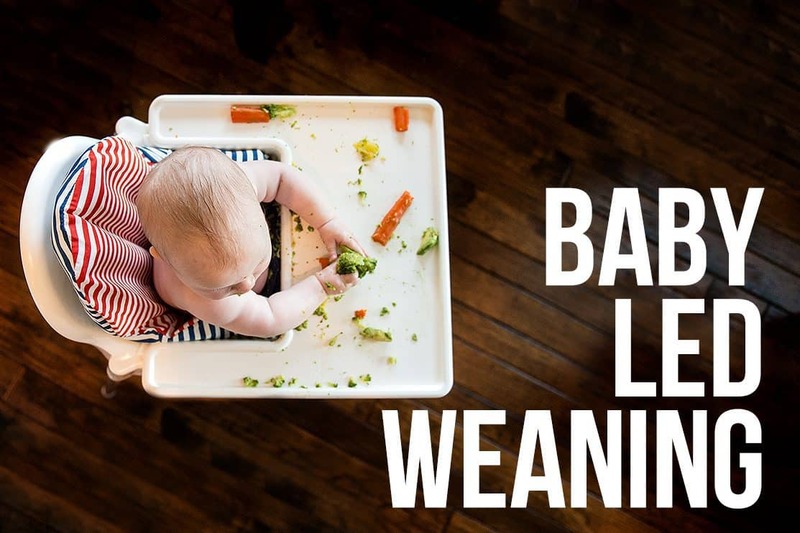 The best infant newborn probiotics to give after birth for baby rash, colic, irritability, gas, cranky baby. I purchased Evivo on my own after doing my own research on infant probiotics. I researched the best newborn and infant probiotics for baby #3 and I decided on Evivo, purchased and LOVED them. 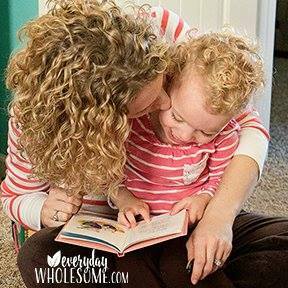 This post is to share with you how much I think Evivo has helped make our baby the happiest baby on the block. This post contains affiliate links, which means if you purchase a product using one of these links it will support this blog, at no cost to you! Thank you for supporting this blog! DO NEWBORN BABIES NEED PROBIOTICS? WHAT DOES PROBIOTIC MEAN? I believe it. And it worked in our case. 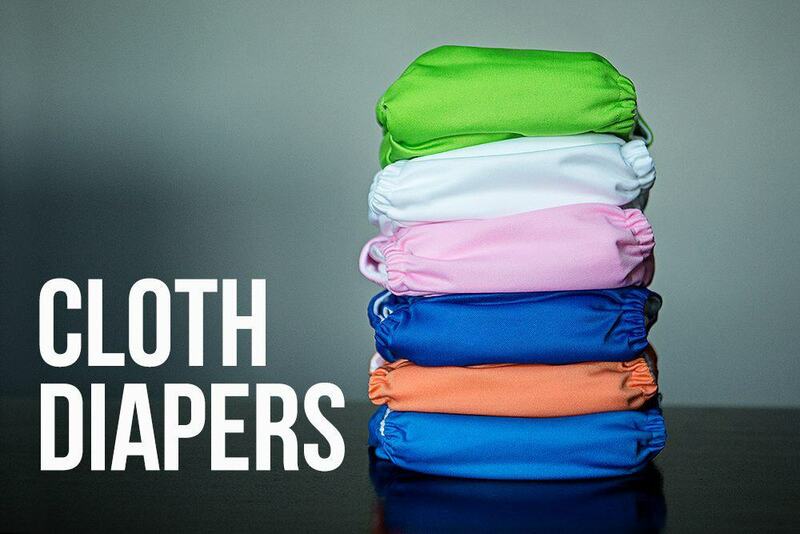 Evivo says they help in the following situations, which can be signs of a bad gut. Again, I believe it. 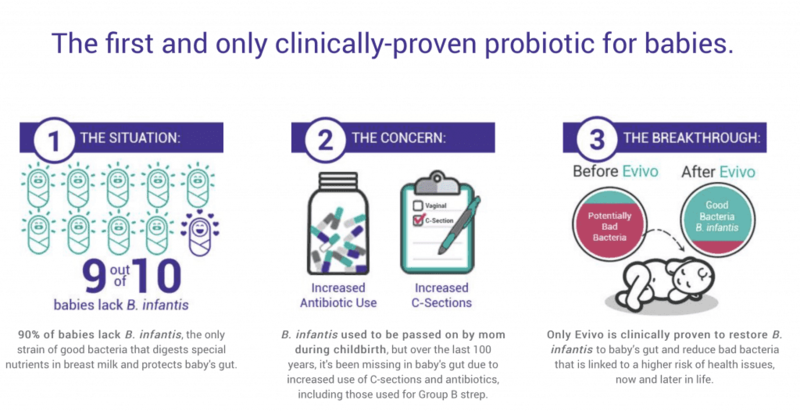 WHY IS EVIVO THE BEST NEWBORN, INFANT PROBIOTIC? I really liked Evivo as a company. There are a few other very popular probiotic companies but they aren’t as forthcoming about their information and their research. They were hard to reach. Evivo, on the other hand was available via Facebook message to answer my questions right away. I loved that. I love a company I can trust (I partner with companies I trust). I loved that their research and information was right there on their website. It was easy to read. It was full of research. I felt like it was expensive but it was worth a try and I’m so glad I tried it! WHY DID YOU BUY EVIVO NEWBORN, INFANT PROBIOTIC? 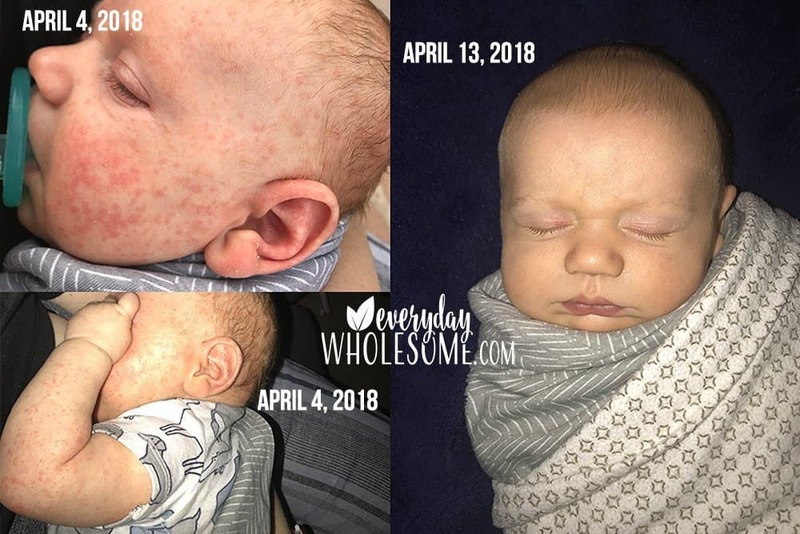 Baby boy broke out in a HORRIBLE rash at 2 months old. I was terrified it was the start of eczema or something. He had cradle cap (which I have heard many babies with cradle cap end up with eczema later) and he had thrush and flaky ears. I felt like we needed something and I was worried about his skin. He was rough all over and had a terrible rash. I figured he needed to balance and heal his gut. And I also thought he had Candida overgrowth due to his thrush and cradle cap. I bought Evivo for him to help his gut and I started taking a high quality probiotic and yeast control supplement, which I took while nursing (check with your doctor before starting any new supplements while nursing or pregnant). I checked with my pediatrician first on this also. I CAN’T TELL YOU FOR SURE THAT PROBIOTICS WERE THE CAUSE OF THIS BEFORE AND AFTER BELOW. The pictures below are 9 days apart and the results are astonishing. THE RASH HAS NOT COME BACK. WHY DID YOU HAVE EVIVO OVERNIGHTED TO YOUR HOUSE RECENTLY? I purchased another high quality, much loved infant probiotic after more research and an attempt to save money because Evivo is not cheap. I figured that since it was cheaper and had been on the market a while, with positive reviews, it would be worth switching. I switched. And then I panicked. A few days into the new probiotic, my baby was a GROUCH. He didn’t sleep or settle well. He fussed more. He wasn’t eating as well. He wasn’t feeling as well. He was just a GRUMP. He also wasn’t pooping on schedule like he was with Evivo. (That was the only actual proof I had besides mommy intuition.) I panicked. I had Evivo overnighted (might I mention that this now cost me more than if I’d just sacked up and purchased this when I ran out instead of the other one I thought would save me money.) Sigh. DID IT WORK? Fast forward a few days after getting the Evivo in the mail and using it every day… he’s feeling better now. He was seriously backed up in the poop department and once he get regulated again on Evivo he’s all better and my happy-go-lucky guy again. Phew. Thank goodness. Again, I truly believe in the power of probiotics for my baby’s well being. 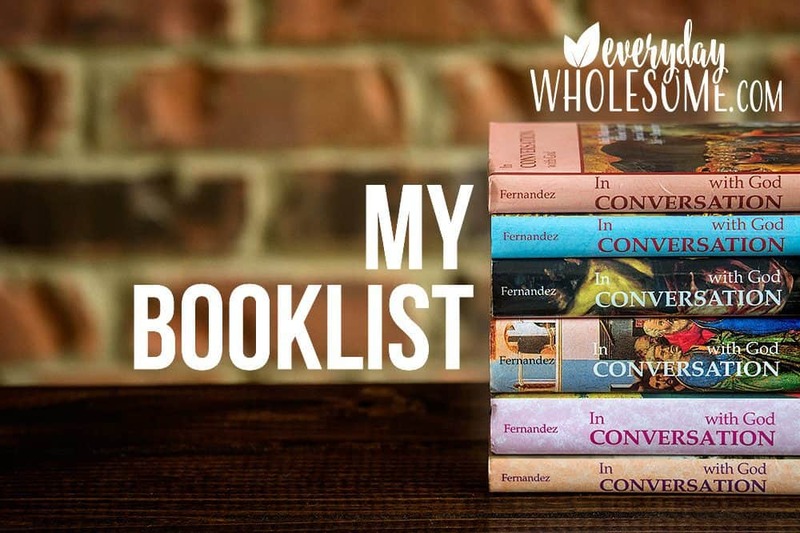 WHY DO WE LOVE EVIVO? Evivo made my baby into the happiest baby. When he doesn’t take Evivo I notice a real difference in his demeanor. He’s not as happy because he is gassier and isn’t as “regular.” He fusses and kicks his legs and is tooting and unhappy. I believe there is a correlation. His skin is softer. Call me crazy but there is a difference in his skin. It is baby, milky, silky soft when he is taking his Evivo every day. And when I switched him to another brand and missed some doses, he had some rougher patches of skin. After I switched him back his skin got clearer and was much softer. He had a few tiny pimples on his legs that cleared up when I got him back on his Evivo daily routine. Regular pooping = happy baby. ‘Nuf said. CAN I BUY EVIVO ON AMAZON? Yes you can! I checked with Evivo personally to make sure that the Evivo on Amazon was coming directly from Evivo itself and it is! Yay! Another reason to love Evivo. They are trying to make it easier to work with them! Thanks Evivo! I love Amazon so I use them for as much as I can. I started with the 1 month supply starter kit. Then on my next order I got another starter kit because I wanted another little bowl and plunger in case I lost the first one, but I got the 2 month supply this time. Then, I bought the refills. BABY IS 8 MONTHS OLD NOW. WHAT DO I DO NOW? 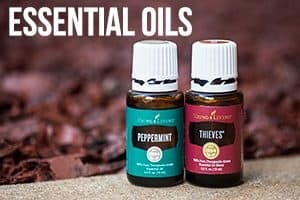 I have switched over all of my supplements to Young Living. We use YL Seedlings Baby Lotion on his skin. I am in love with this lotion! I can NOT believe how much of a difference this has made in the quality of his skin. It’s truly amazing. I tried this lotion because of a recommendation of someone saying it was amazing. Because my middle daughter has eczema I am used to not using lotions. I use creams to really coat the skin. And, at first I didn’t notice a difference. But after a week or two I am hooked. 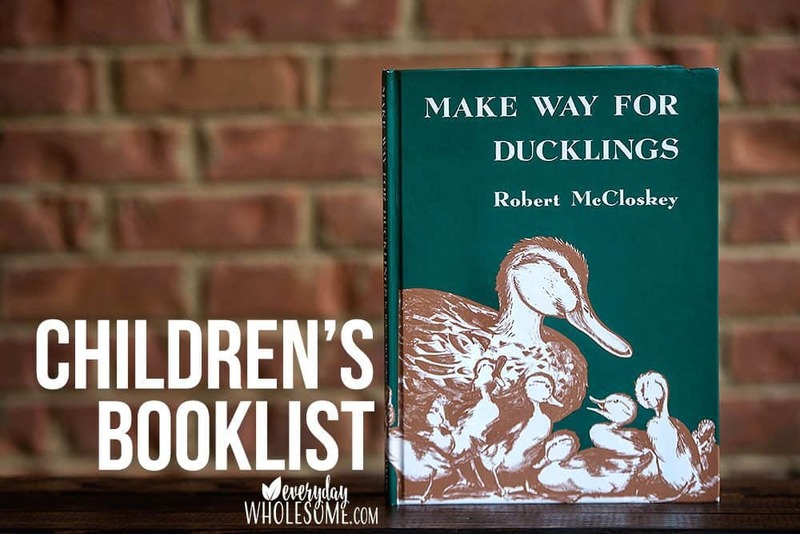 I am buying one for each of the kids and one for me and one for my purse. I am in love with this lotion! 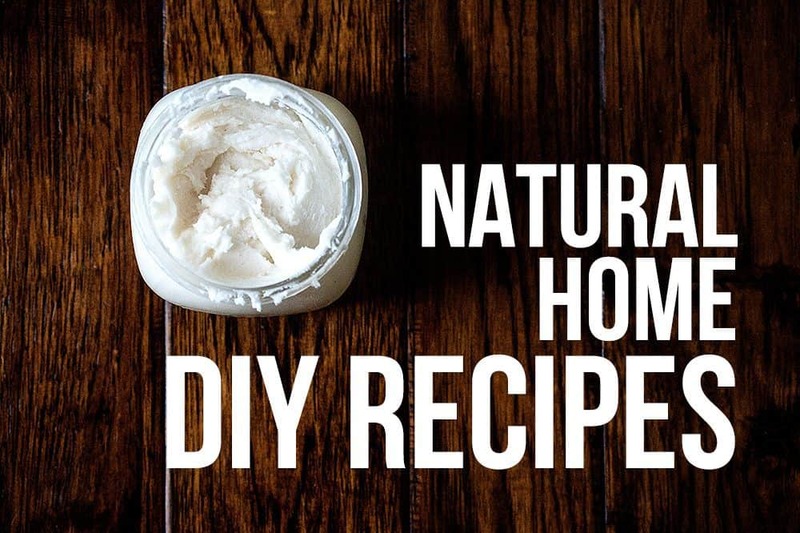 Dr. Bronner’s Baby Unscented Magic Balm – I buy it at Target. 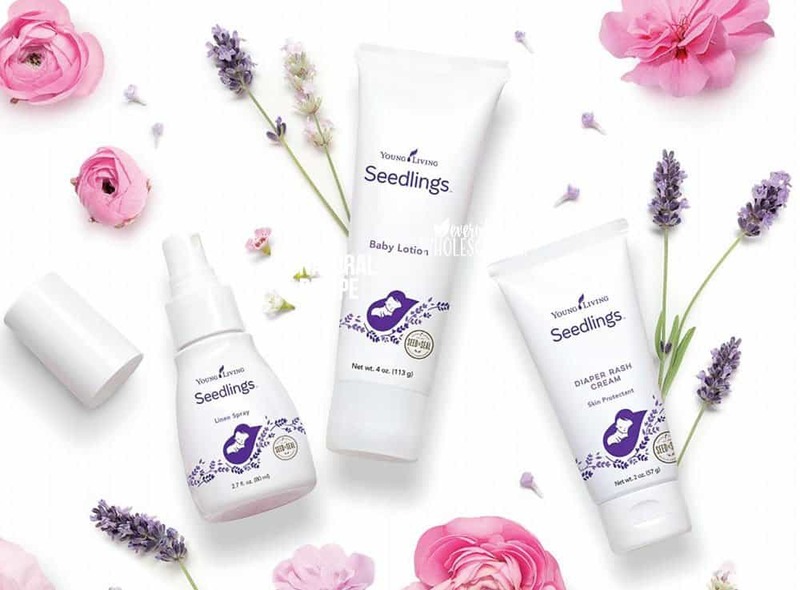 I couldn’t find it on Amazon except in the Dr. Bronners Baby Gift Set and I didn’t love 2 out of 4 of the items in that set.